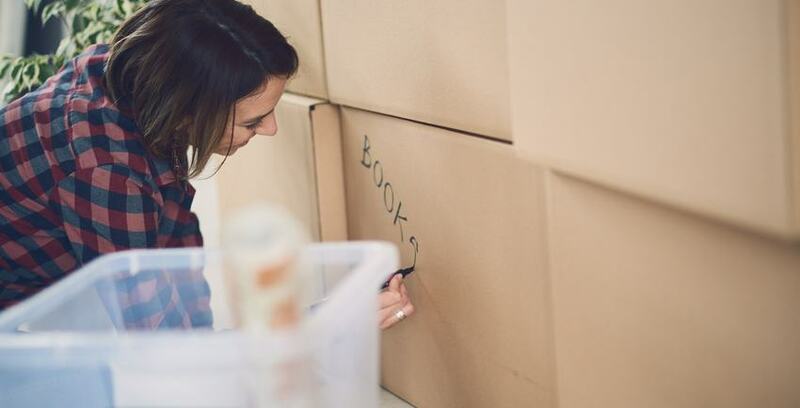 There are endless lists out there telling you exactly what you should do when preparing to move. There are not, however, nearly enough listing things you shouldn’t do. Creating a moving plan seems like it would be a headache because, well, it kind of is. It's a worthwhile headache, however, so don't skip it. Make time to sit down and determine your budget, timeframe, how you will pack, whether you're hiring professional movers, and so on. Trust us when we say if you leave things unorganized… it’s going to make the whole process a lot more difficult in the long run. Hiring professional movers doesn't just mean that you can call someone and magically everything is taken care of. There are a lot of things you need to do to make sure the process is as simple and successful as possible. When you hire professional movers include having a packing plan, invest in moving insurance, and remember to have cash on-hand to tip. We’re not saying you have to necessarily throw things out. Use a move as an opportunity to critically look at all of your possessions. Consider what you need to bring with you, and what you could do without. You’re going through everything during the process of packing, anyhow. If you’re not ready to throw things out, you can take a middle step by renting a storage unit for anything you don’t have room for. Everyone makes sure to wrap glasses, dishes, and other breakable objects in paper and bubble wrap so that they don’t shatter during a move. For whatever reason, however, a lot of movers forget how fragile electronics can be. Don’t make the mistake of failing to protecting your television, gaming consoles, and other high price items. Home electronics can easily dropped just like anything else, and they’re expensive to replace if they break! This is good advice for all avenues of life, not just for moving. If you’re feeling overwhelmed, reach out for help. If you’re not sure what to do next, ask friends and family for advice. If you need extra space, contact a local storage unit company (Storage Direct, for example). If you need something, ask for it - you’ll be surprised at how many people around you would be happy to give a hand. The last thing you shouldn’t do? Make moving more difficult than it needs to be by worrying too much. You’ve got this. We believe in you.